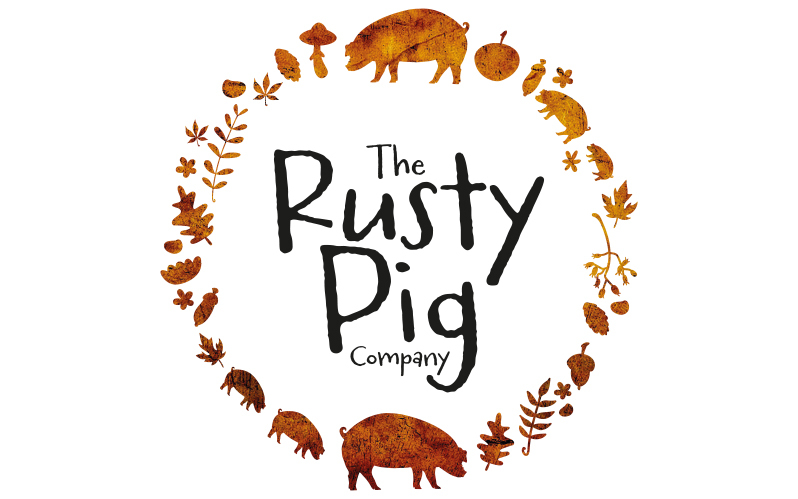 As huge foodies, here at Lolly we are delighted to announce that we have started working with The Rusty Pig Company an exciting new food company based in the picturesque countryside of Sandford Orcas – a stones throw away from where we are based. Championing Tamworth pigs – the oldest pure breed of native pig in the British Isles – the company raise a growing herd of happy, healthy pigs which produce the tastiest of meats on their Dorset farm, providing locals with delicious meat boxes, pork cuts and the ultimate party hog-roast. Offering a helping hand from the beginning, here in the studio we have had much fun creating the brand designing the logo, stickers and land rover vinyls. We have also designed and built their new website and online shop which we manage on an ongoing basis populating with new products, as well as overseeing the management of their growing social media channels engaging with new followers and advocates of local Dorset produce. Dorset friends, a juicy chop or two from Sherborne’s The Rusty Pig Company will not disappoint – and hosting a party soon? Give them a call!